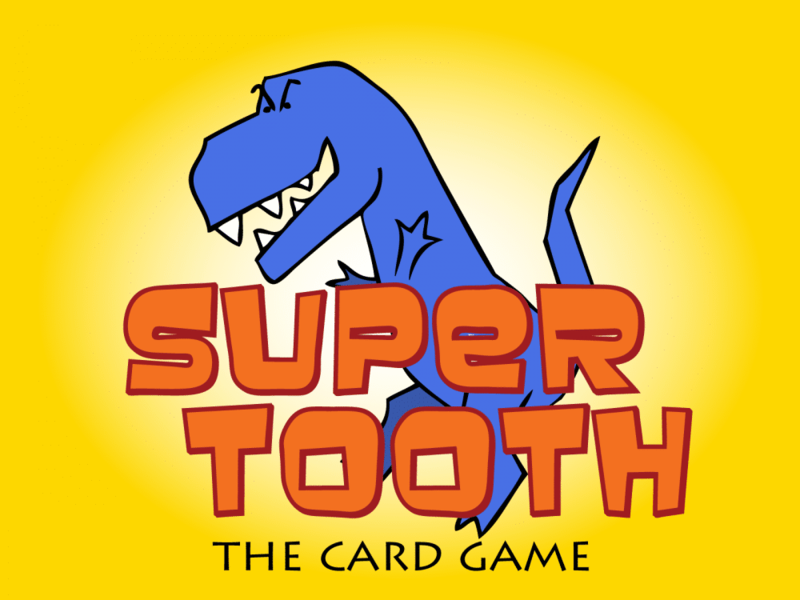 Home » Super Tooth to be published by Gamewright in 2015! In September, backers of the Super Tooth Kickstarter received their games and began playing in the prehistoric world of the dinosaurs. As backers we were SUPER excited to get to play! Who wouldn’t love to play a game matching cartoon dinosaurs? Of course, if you weren’t among the 239 backers for this project, you’d have to know someone who was to play. Sadly, if you didn’t know a backer you’d never know the joy of protecting your pair of Apatosaurs by feeding a Parasaurolophus to an errant Spinosaurus. Upset? I know I would be. BUT there is a light at the end of the tunnel (and it isn’t an asteroid), Farm Fresh Games has announced that Gamewright has picked up Super Tooth for publication and distribution in 2015! The new printing will be premiered at the New York Toy Fair and will be available in stores that sell Gamewright games shortly after that! Wondering what all the hype is about? Check out our review of Super Tooth here! PlayStation 20th Anniversary Digital Sale Through January 19th!